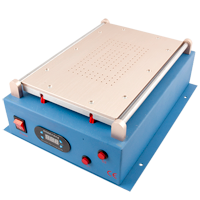 YouYue 948C Build-In Air Vacuum Pump LCD Separator Machine -14" just put on LCD on the heating panel, turn on "Vacuum Pump" switch, then you can separate the glass. And the LCD is firmly fixed on the panel while separating. The shell of vacuum LCD Separator is metal. And it's better than back light vacuum LCD Separator. 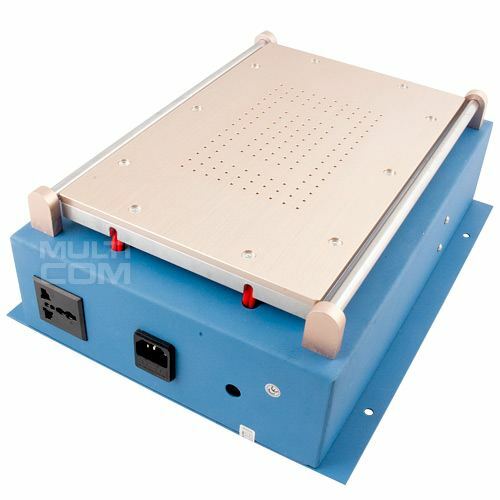 The surface of heating plate is very smooth. It makes fix broken LCD firmly. 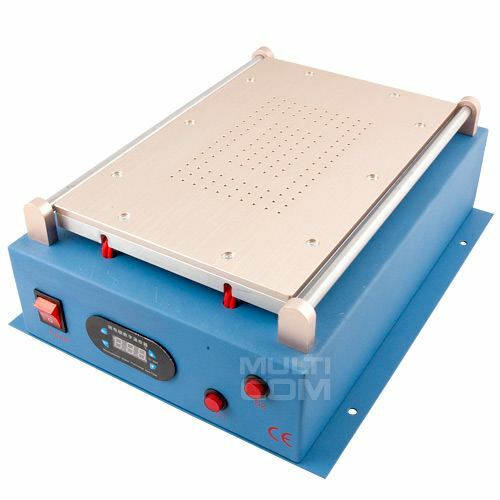 LCD separator equip with anti-slip mounting seats. It makes your work smoothly and decreases the opportunity of damaging LCD assembly. This machine set can help separate the cell phone’s touch screen from LCD, or touch screen from front glass lens. - The maximum size of the heated LCD screen 14 "